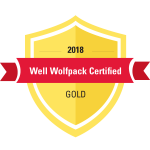 NC State Industry Expansion Solutions’s Dr. Deborah Manzo named to the Board of Examiners for the 2018 Malcolm Baldrige National Quality Award. The Baldrige Award is the nation’s highest honor for organizational innovation and performance excellence. NC State’s Dr. Deborah Manzo, a Management Systems and Quality Improvement Specialist and leader of the North Carolina Performance Excellence Coaching Program at Industry Expansion Solutions, recently contributed the publication of a new NIST Baldrige program case study. Presented by the Alliance for Performance Excellence in partnership with the Baldrige Performance Excellence Program (BPEP), the Baldrige Fall Conference replaces the two Regional Conferences hosted by BPEP in the past. This event will be similar to past regional conferences, but will take place at a destination hotel, include two pre-conference workshops, and feature more networking/social events. Performance Excellence Coaching. Why participate? Considering how to improve your organization’s performance? See how the Baldrige Excellence Framework is being used by organizations to focus on excellence.